And then I dive into all the HTML5 goodness. Click through to read the rest of the article if you enjoy programming or seeing how one part of Entanglement is put together. Entanglement on HTML5 does rock. Thanks for building such an enjoyable game. I look forward to learning more about the technology behind it. It rocked when it worked. About a week ago it stopped working on my laptop. now it draws the background and the menu but won't draw the tiles at all. Center of the screen is empty and swap tile is empty. I can click on the board and see scores appear so it seems the game is running, just not drawing the tiles. Please help me fix it, I want to play it more. I want to second the suggestion that you publish the top 10 or top 100 boards. I'd like to see how people get massively high scores like that. Could you post what browser version you're using? Also, there have been a few reports about certain browser extensions preventing the game board from appearing if you want to try temporarily disabling a few to see if it makes a difference. 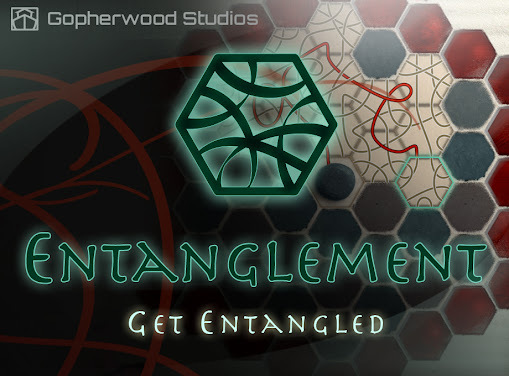 Your latest version of Entanglement is very pretty, but it runs as slow as molasses for both myself and my friend. What's up with that? @notmyra - Could you pass along your browser and version? We'll look into it; thanks! We both use firefox 3.6.13. The patterns emerging look just like DNA, why don't you do a 3D version? :) Beautiful! awesome game! really really well done.